Northern Virginia Thermography will beat any local thermography price by $50. Visit Holistic Family Health thermographers today! Sterling, Leesburg, Winchester, Lansdowne, Fairfax, Brambleton, South Riding, Potomac. Holistic Family Health provides Thermography at our Herndon clinic, located near the Northern Virginia areas of Sterling, Leesburg, Winchester, Fairfax, Chantilly, Reston, South Riding, Lansdowne, and Centreville. Medical DITI can graphically display the very subjunctive feeling of pain by objectively displaying the changes in skin surface temperature that accompany pain states. 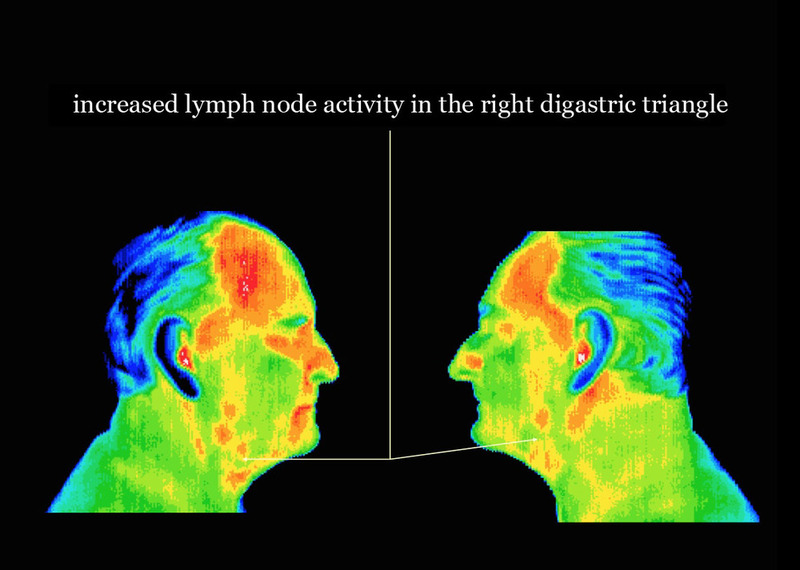 DITI is a noninvasive diagnostic technique that allows the examiner to visualize and quantify changes in skin surface temperature. An infrared scanning device is used to convert infrared radiation emitted from the skin surface into electrical impulses that are visualized in color on a monitor. 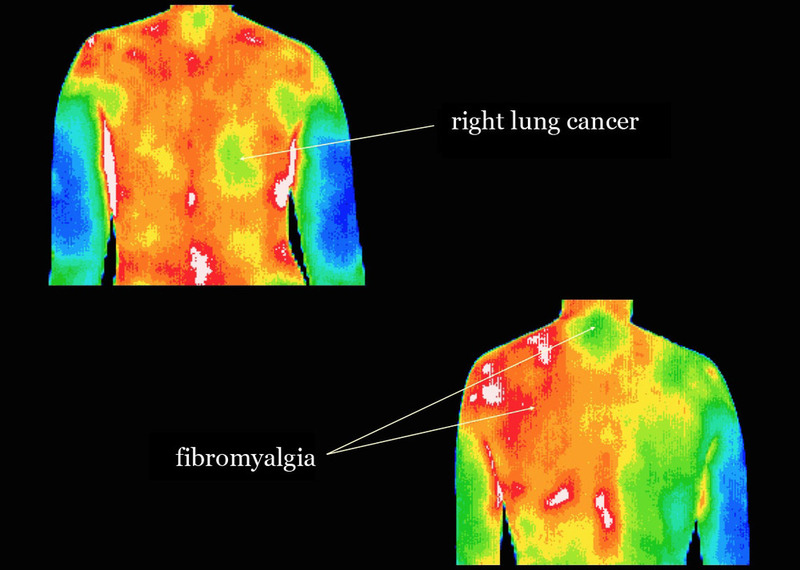 These visual images graphically maps the body’s temperature and is referred to as a thermogram. The spectrum of colors indicates an increase or decrease in the amount of infrared radiation being emitted from the body’s surface. Since there is a high degree of thermal symmetry in the normal body, subtle abnormal temperature asymmetries can be easily identified. There are many tests of anatomy, such as x-ray, CT, ultrasound and MRI. 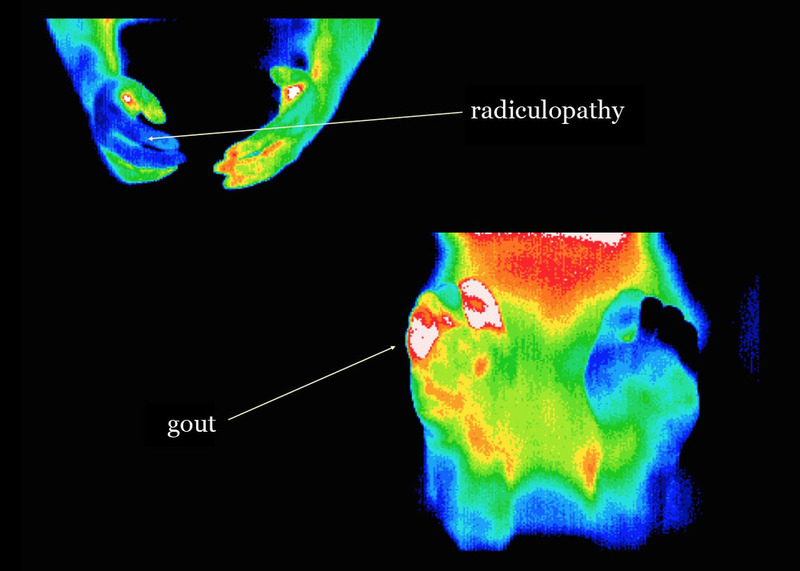 Thermography is unique in its capability to show physiological change and metabolic processes. It has also proven to be a useful complementary procedure to other diagnostic modalities. Thermography is certainly an adjunct to the appropriate usage of mammography and not a competitor. In fact, thermography has the ability to identify patients at the highest risk and actually increase the effective usage of mammography imaging procedures. By performing thermography years before conventional mammography, a selected patient population at risk can be monitored more carefully. Then by accurately utilize mammography or ultrasound as soon as possible to detect the actual lesion (once it has grown large and dense enough to be seen on mammography film) can increase treatment options and ultimately improve the outcome. Thermography offers the opportunity to detect breast disease, without radiation or contact, 5-8 years earlier than has been possible through breast self examination, doctor examination or mammography alone. DITI detects the subtle physiologic changes that accompany breast pathology whether it is cancer, fibrocystic disease, an infection or a vascular disease. It is one of the only medical procedures to detect inflammation breast cancer. 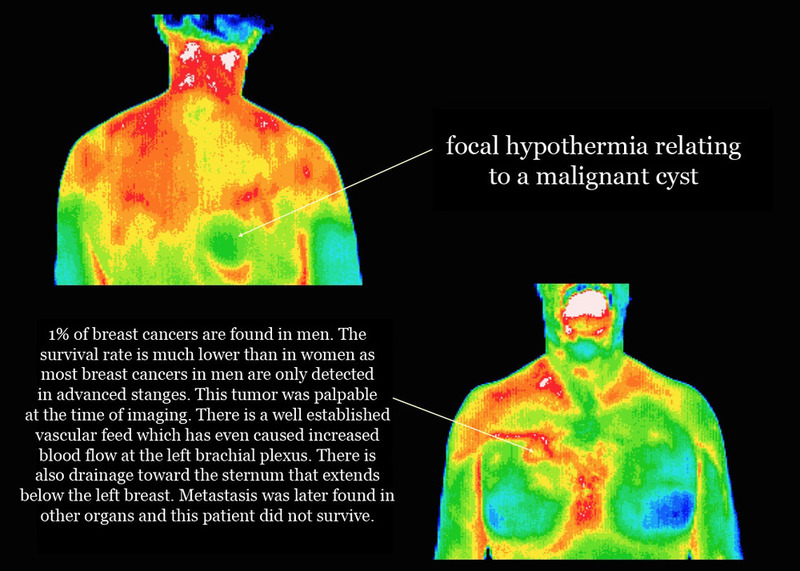 Thermography, as a physiological test, demonstrates heat patterns that are strongly indicative of breast abnormalities. Once abnormal heat patterns are detected in the breast, follow up procedures including mammography are necessary to rule out or properly diagnose cancer and a host of other breast diseases. All women can benefit from DITI breast screening. However, it is especially appropriate for younger women (30-50) whose denser breast tissue makes it more difficult for mammography to be effective. Also for women of all ages who, for many reasons, are unable to undergo routine mammography. This scan can provide a ‘clinical marker’ to the doctor or mammographer that a specific area of the breast needs particularly close examination. It takes years for a tumor to grow, thus the earliest possible indication of abnormality is needed to allow for the earliest possible treatment and intervention. DITI’s role in monitoring breast health is to help in early detection and monitoring of abnormal physiology. Thermography can offer considerable financial savings by avoiding the need for more uncharted, expensive investigation for many patients.